David Weinberger is ioby's City Partnerships Director. He works with governments to design crowdfunding programs that promote inclusive and meaningful community engagement. Anyone who has ever worked on a city’s long-term plan knows how painful it can be to balance competing priorities. Good planning requires you to listen to every community’s needs, craft a thoughtful and inclusive path forward for the city, and identify sources of funding for urgent projects. Even while looking out on the horizon for emerging opportunities and threats, the city is still on the hook for meeting the immediate needs of neighborhoods and funding communities’ top priorities. To bridge this gap between the immediate and the long-term, and to encourage meaningful and efficient resident participation in planning, several cities worldwide have turned to civic crowdfunding. 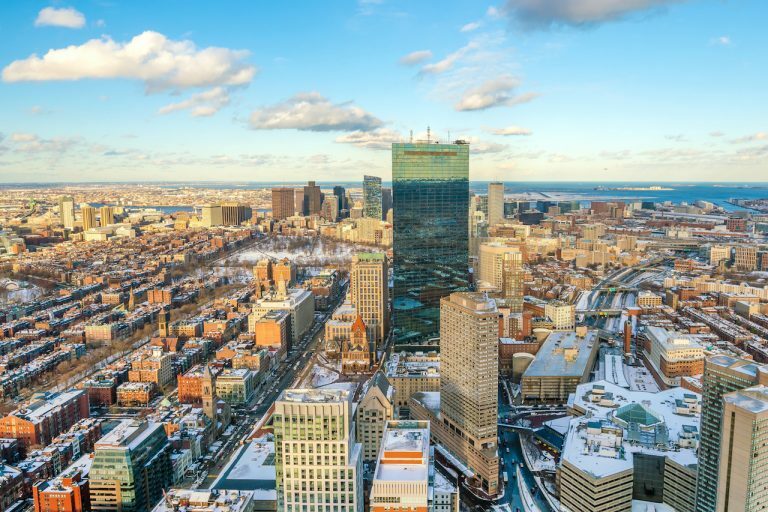 The City of Boston is using crowdfunding to finance projects in public spaces across the city. The City of Los Angeles has used crowdfunding to fund community-driven placemaking and street safety projects within the mayor’s priority corridors. New York City’s Department of Transportation has used crowdfunding to fund projects beneath and adjacent to elevated infrastructure in Brownsville, Brooklyn. Donation-based civic crowdfunding platforms, including ioby in the United States and Spacehive in the United Kingdom, enable residents and community-based organizations to fundraise for their ideas to improve their neighborhoods. On these sites, community leaders have successfully fundraised for everything from laminated bus schedules to a two-way protected bike lane. Before deciding to invite residents to crowdfund for public projects, governments should be aware of all potential impacts that such an approach might have on equity, residents’ trust in decision-makers, and the fiscal health of civil organizations. What follow are five steps that governments should take when considering whether and how to invite residents and nonprofits to try community crowdfunding in their cities. If a government aims to leverage civic crowdfunding to build new relationships in a community, it must first demonstrate its willingness to invest in and trust the people of that community. In neighborhoods with histories of disinvestment, a government might start by restoring public investment to help build back trust. Then, the government may slowly begin to invite community-based organizations and residents to commit their time and creativity through processes like participatory budgeting. Only after this foundation of trust has been established, a civic crowdfunding program is a good way forward for governments to work with communities to fund and create public projects. To spur innovation and to maintain residents’ trust in government’s good intentions, a city should design its civic crowdfunding program to fund new and experimental projects that the city is unable to fund on its own. These might include pop-up, temporary, or pilot projects. To increase the likelihood of each project’s success, a city should be careful to select projects that are led by residents and organizations who can partner with the city on the project’s implementation. The government should be able to trust that their contact in the community is available to work in full and equal partnership. Because the goal is to build lasting community partnerships, the program should aim to engage people with deeply rooted connections to the neighborhood. By coupling the crowdfunding program with customized grassroots fundraising trainings and one-on-one coaching from ioby, both NYC DOT and the Los Angeles Mayor’s Office aimed to build local organizations’ capacities to fundraise and organize. In both the Los Angeles Great Streets Challenge and the NYC DOT El-Space Challenge, ioby served as a technical assistance provider to each city and to the groups leading the crowdfunding campaigns. A city should seek the same supplemental capacity-building services from any civic crowdfunding platform with which it chooses to partner. Especially if the government is offering matching funds to participating groups, a civic crowdfunding platform should be able to carry the compliance burden for participants. Small volunteer-led organizations can be burdened by agencies’ requirements that they submit forms and receipts before receiving their matching funds. Similarly, the delay between purchase and reimbursement can severely restrict cash flow for groups with small or no budgets. The crowdfunding platform should be set up to submit required documentation on behalf of the group and disburse funds directly to the group. Ideally, the platform would be comfortable accepting the risk of disbursing up front to groups so that they are not forced to make purchases and wait for reimbursement. As in the Los Angeles Great Streets Challenge and the NYC DOT El-Space Challenge, a city may commit to matching each contribution coming through the crowdfunding platform. A match demonstrates a city’s willingness to partner with the community on the development and implementation of the idea, and enables the city to contribute public funds at a level that is proportional to the project’s popularity in the community. If a primary purpose of using matching funds is to allocate city funding based on community-identified needs, a city should insist on setting a limit on the amount that it will match per donor. Rather than match the complete amount of every donation, a city should set a cap on the amount that it will match from every donor. For example, a city might settle on a 3:1 match with a $100 match cap per donation. In this case, every donation would be matched up to a maximum of $100. A donation of $90 would receive a match from the city for $90; a donation of $1,000 would receive a match from the city for $100 (the maximum allowable match.) This would encourage leaders of crowdfunding campaigns to seek several smaller donations, and help to reduce the influence that a small number of large donations might have on the success of a crowdfunding campaign. A city weighing whether it might launch a crowdfunding program should consider its commitment to working with residents and community-based organizations in the long term. Agencies should only lead the effort if they have time and resources to follow through on all promises made to applicants. To effectively build trust, the agency’s decision-makers should be prepared to fundamentally change the ways in which their staff interacts with stakeholders during a project’s delivery. When attempting to use civic crowdfunding to build trust with communities, an agency’s staff should commit to listening to and learning from the experiences and ideas of residents and organizations. Following the completion of a civic crowdfunding program, a government should meet with residents and the leaders of the campaigns, evaluate all successes and failures, and use these findings to develop a more effective strategy to work with the community going forward. Especially in neighborhoods where residents’ trust in government is weak, it is critical that governments prove their trustworthiness by following through on promises to listen to and meaningfully engage members of the community. It might be tempting to think that civic crowdfunding should begin in higher-income neighborhoods that can “afford it more.” But by using civic crowdfunding to fund new amenities in neighborhoods where residents already trust government, there is a significant risk that disinvested neighborhoods—where trust in government is more limited—will continue to fall behind neighborhoods that are rich in resources. Cities wishing to experiment with civic crowdfunding in higher-income neighborhoods should also increase funding to lower-income neighborhoods. Most importantly, any city crowdfunding program should come with the city’s explicit intention to maintain these partnerships in the communities into the future. With a government’s genuine commitment to pursuing equity and longevity in its partnerships, civic crowdfunding has the potential to fundamentally improve trust and relationships between government and communities.